Sgt. Colledge from this photo is my BIL, and the photo does not lie: he is astonishingly good with babies. It's too expensive to live in Dubai, so people deal with the gridlock commute. This is so true and it's annoying. Traffic is so, so, so bad driving between Sharjah and Dubai. This was the Gulf News' April Fool's Day joke: UAE to ban SUVs by early 2016. Hahahahahahahahahaha. I thoroughly enjoyed this flashback to the late 90s at the BYU! Almost everything was the same when I was a freshman a year later, except the new library entrance was open and they had just started online registration. 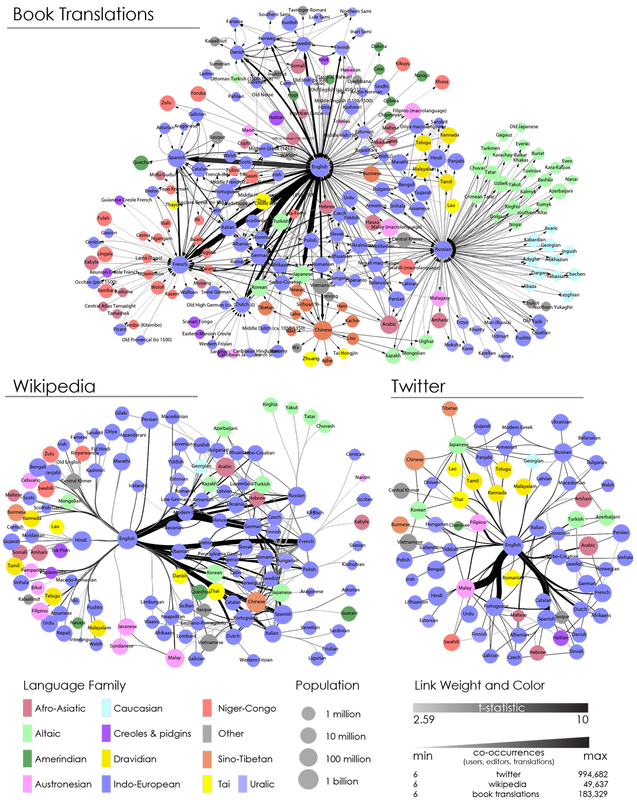 Researchers looking into how "important" certain languages are created these infographics showing relationships between language and book translations, Wikipedia entries, and tweets. So interesting.